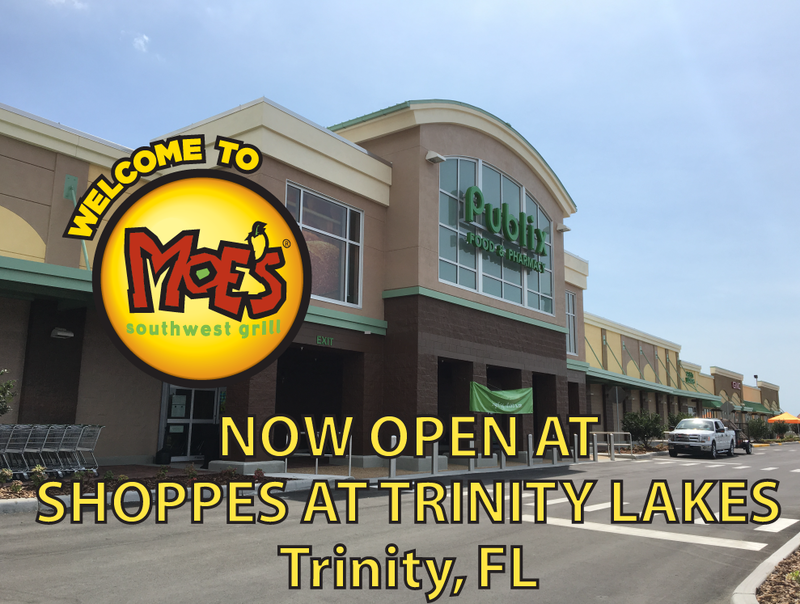 Moe’s Southwest Grill is now open at the Shoppes at Trinity Lakes, a Publix-anchored shopping center that opened this April. Stop by the location and enjoy a burrito… or two! WELCOME TO MOE’S.